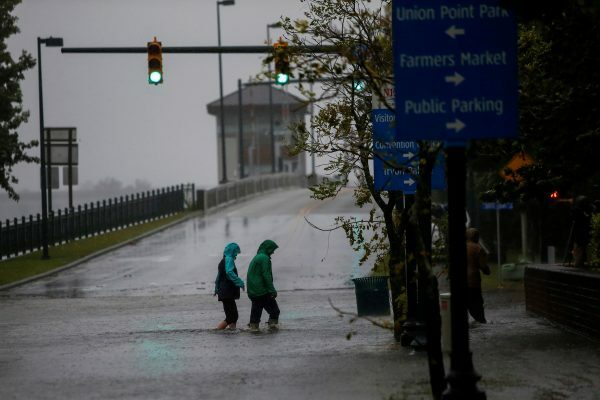 WILMINGTON, N.C.—Rain, wind and rising floodwaters from Hurricane Florence swamped the Carolinas early on Friday as the massive storm crawled toward the coast, threatening millions of people with record rainfall and punishing surf. 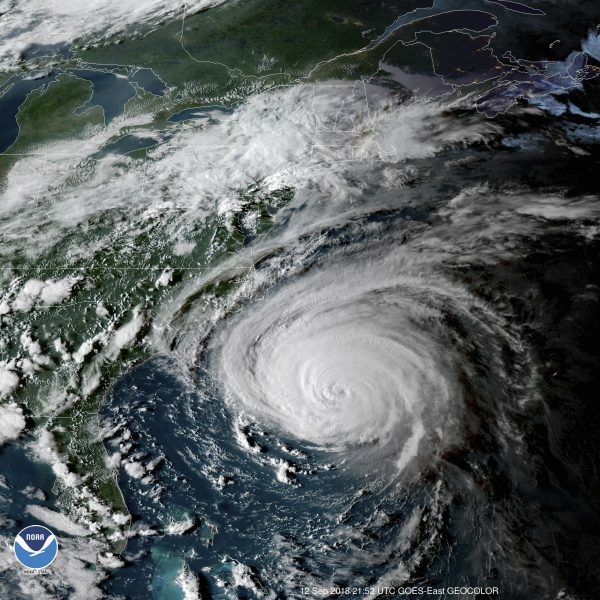 Florence was expected to make landfall near Cape Fear, North Carolina, at midday, and forecasters said its size meant it could batter the U.S. East Coast with hurricane-force winds for nearly a full day. 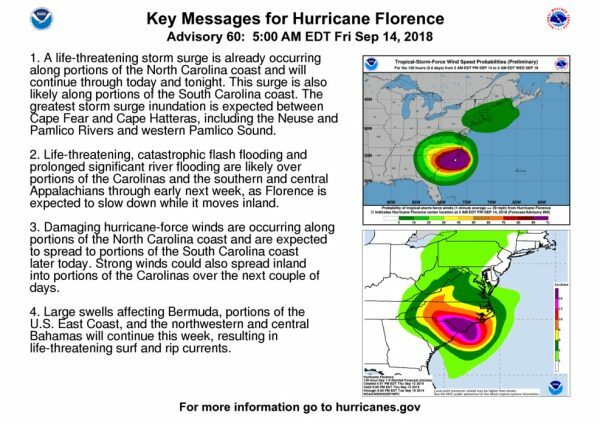 “A life-threatening storm surge is already occurring along portions of the North Carolina coast and will continue through today and tonight,” the NHC said in an alert posted at 5:00 a.m. EDT on Friday, Sept. 14. 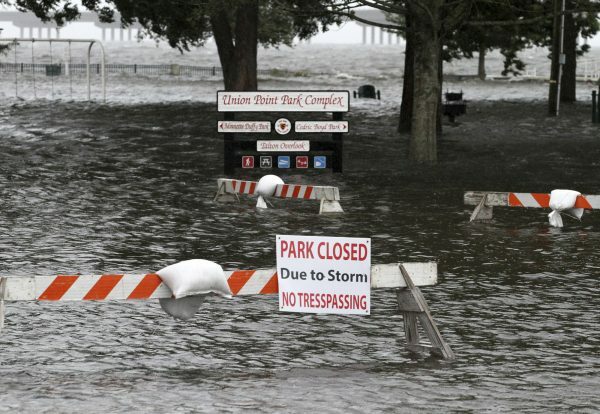 Instead, they drove 150 miles (240 km) inland to his mother’s house in Durham.